Traffic jams of today, as unpredictable as natural disasters and romantic love, break continually the record for slowness. The associated stress alters the rhythm of your heartbeat. Will a flight to a paradise destination give you emotional peace? But what are the implications of this travel? How does it change the quality of the air you breathe or the metals in your blood? How many species might disappear, maybe taking with them medicines against cancer? How does it impact the scarcity of minerals and changes the use of land? "Where Do We Go? The freedom of travel" investigates the aspects related to the environmental impact of using different transport means. It will allow you to understand the consequences of your yearly transport habits; will permit you to make a personal estimation of the relative importance of these aspects. Your resulting traveller identity will enable you to understand the implications of your priorities in terms of environmental impact caused by your travel habits. This graphic shows how the different travels you added to the list contributed to the three different impact categories. How important is health for you? and the ecosystem quality? how important do you think it can be the resource depletion? Science can give us information about environmental impacts, but it is necessary to open up a social dialogue to establish our priorities about the different protection areas. Give them a value to create your traveller identity. Organic compounds are those containing carbon into their molecules. Some of them like the Volatile Organic Compounds (VOC) caused asthma and building related illness. Inorganic compounds are considered to be of a mineral, not biological origin. Some of them when inhaled caused metal fume fever and other respiratory diseases. particles or electromagnetic waves that are energetic enough to detach electrons from atoms or molecules, therefore ionizing them. Radiation can cause changes in DNA that can be the origin of cancer and create hereditary effects, like mutations in foetuses. Is the decline of about 4% per decade in the total volume of ozone in Earth's stratosphere (the ozone layer), this reduction increases the UV radiation that arrives to Earth surface. UV radiation causes some adverse effects on human health like sunburn, skin cancer and ocular damage like cataracts. Are caused by depositions of inorganic substances into soil and water. The primary effect is the change in nutrient level (eutrophication) and acidity (acidification) in the soil. Eutrophication produces a great increased of algae in the surface that reduced the oxygen in the water that induces death to fishes and other plants. Acidification of the soil reduces the possibility of the vegetation of growing on it. The impact of land-cover changes on ecosystems is very significant, it can reduced the number of species that lived on it, the evapotranspiration that helps the earth surface not to overheat. Some of the actions into the land, like mining, cannot be easily restored. minerals are non-renewable resources. As they are used as raw materials in many processes, their depletion would generate such a huge scarcity problem for the technosphere. Humanity energetic dependence is one of the hottest spots for this century. Fossil fuels depletion is studied for oil, natural gas and coil. Human health means the absence of premature death, sickness or irritations caused by emissions to air, water and soil. The quality of the non-renewable resources is important because if it decreases on one side it will cost much more money and energy to extract the same amount of material and on the other the extraction will create bigger environmental burdens. We cannot sum your impact on health resources or ecosystem because they are different things. That's why you have a different number for each category. This is the part that represents the transport into your global impact. For instance: 2% in resource impact: means that, with the current travel on the screen, is the 2% of all your impact in a year. 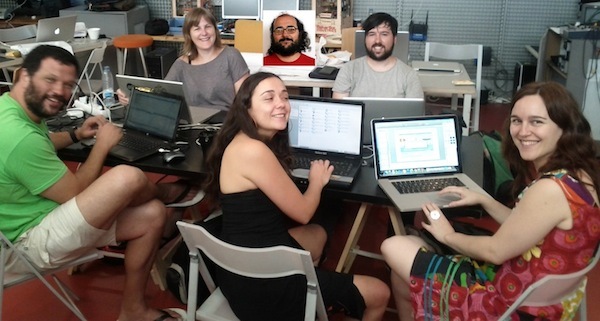 If something doesn't work remember that you need a modern web browser to play with "Where do we go"
The project started during the Visualizar 11 at Medialab Prado by: Beatriz Rivela, Irene Cuerda, Lilian Doring, Sergio Galan, Martin Nadal and Christian Diaz. 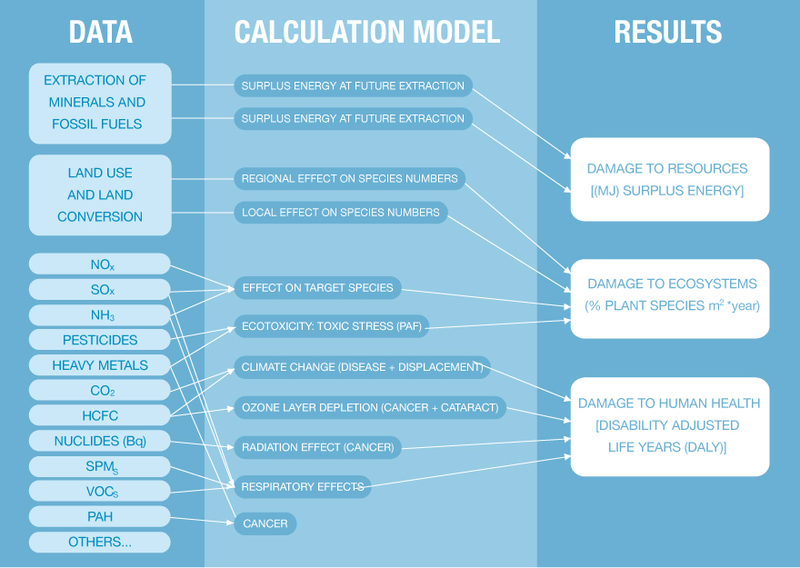 Beatriz and Irene are researchers in the life cycle analysis and they wanted to make a tool to help people understand the results of this kind of approach the evaluate the environmental impact. "Where do we go" seeks to help people to take informed decisions about their mobility patterns and to influence public opinion on what is meant to be "green" these days. This project has been possible because: Dani "The Tall" insisted again and again. Abe made the illusion curve grow. Dietmar's enthusiasm gave us a strong push during the first week. Andrew put everything upside down and finally led us to here. Irene Cuerda: PhD student and researcher in the Technical University of Madrid. Architect specializing in environmental impact modelling with Life Cycle Assessment methodology. ¿Por qué al ir a Dubai en avión el consumo de minerales es 0 y en bici es mayor? El tren consume menos tierra de aquí a Manila que ir andando ¿por qué? y ¿de dónde proviene el impacto sobre la capa de ozono al ir andando? El impacto de caminar viene del desgaste de las zapatillas, de su fabricación vienen las emisiones que generan impacto a la capa de ozono. En cuanto al uso del suelo (no es cuanta tierra se necesita, sino cómo se altera el uso del suelo), el tren no lo modifica apenas, construyes una vez las vías y listo. La diferencia aquí es la fabricación y nuevamente, lo que te toca de la fabricación de un tren es muy poquito. La radiación que se produce yendo en tren, ¿de dónde sale? De la producción de energía eléctrica, que como parte es de origen nuclear, siempre hay cierta presencia de impacto en radiación ionizante, aunque no es muy significativa desde el punto de vista global. La bici tiene un impacto mayor que el barco? La bici es usada por una sola persona por viaje, el impacto del barco sin embargo está repartido entre las distintas personas que los usan.